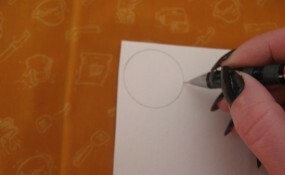 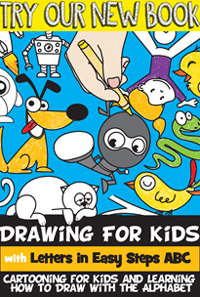 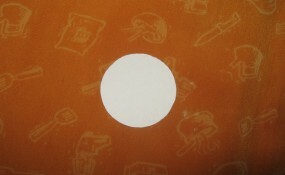 Draw a circle on the cardboard. 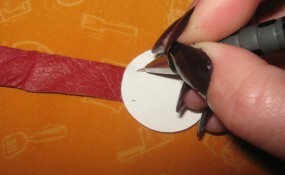 Make two cuts on the marks. 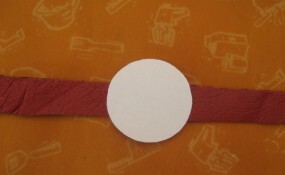 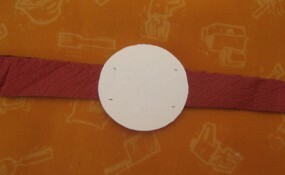 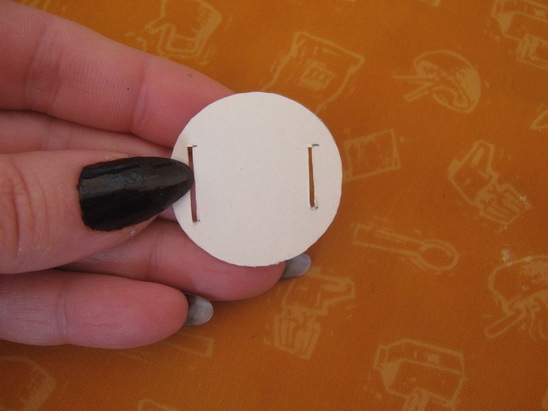 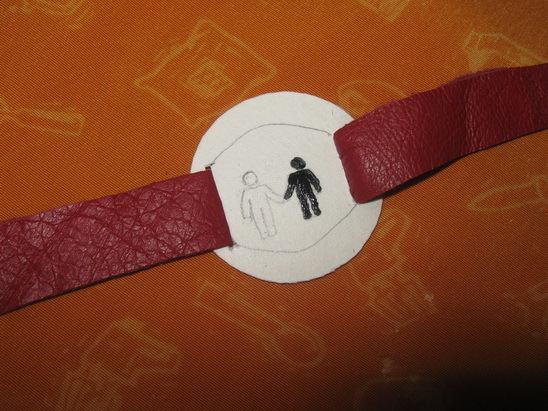 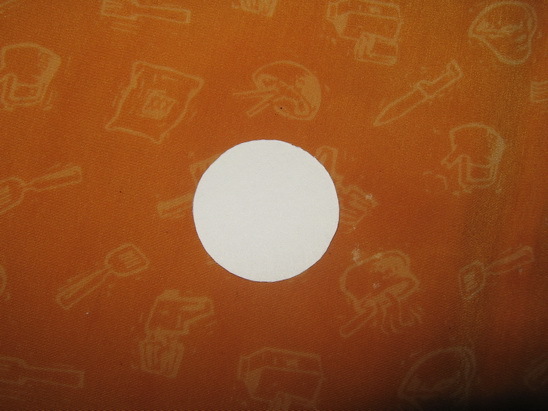 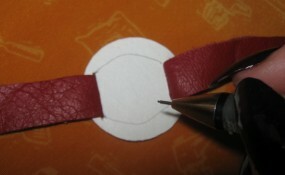 … then the other side through the other cut, until the circle is in the middle. 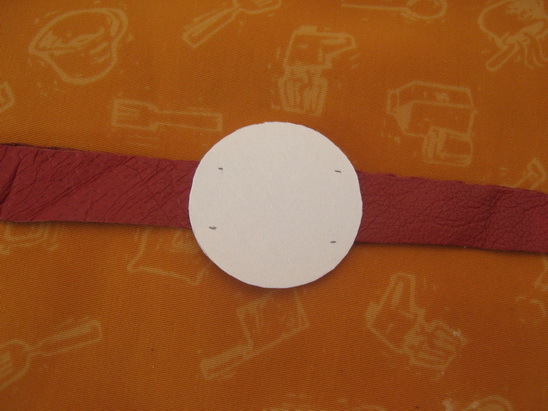 … draw two curves on the cardboard, like this. 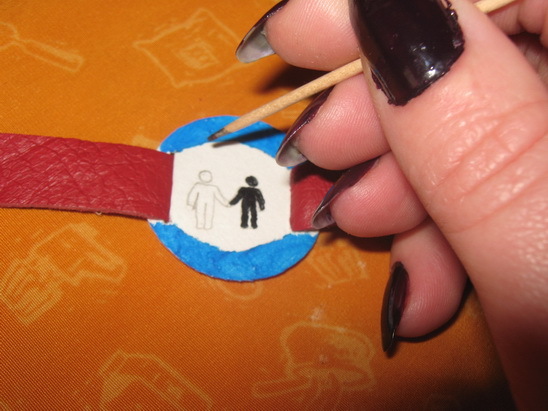 Paint one of them with black – I used the toothpick. 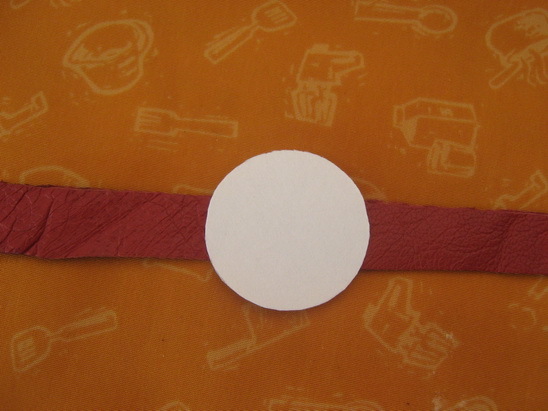 To protect the cardboard it is good to use a varnish on it. 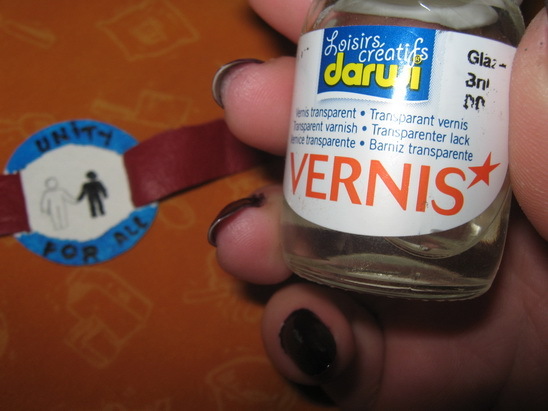 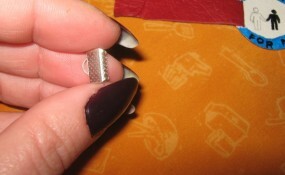 It can even be nail varnish. 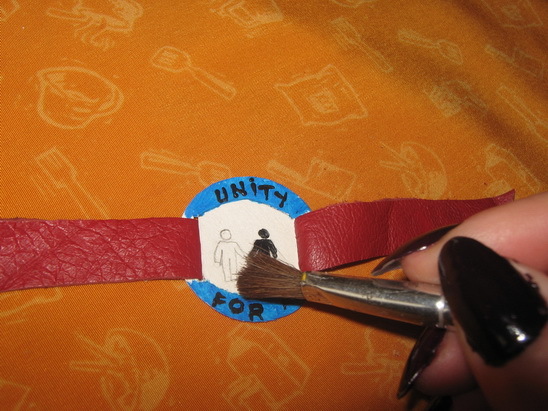 Apply it with the paintbrush all over the cardboard. 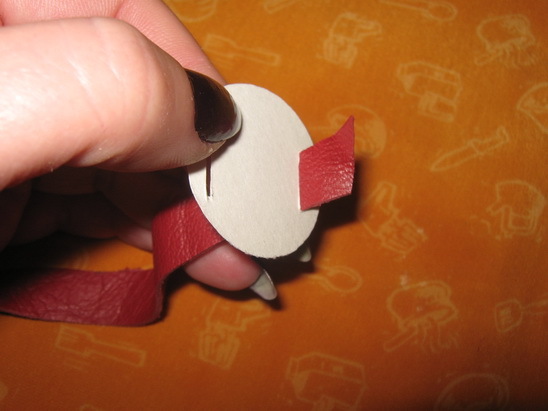 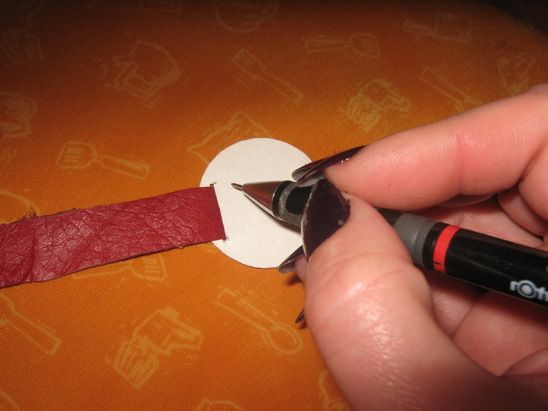 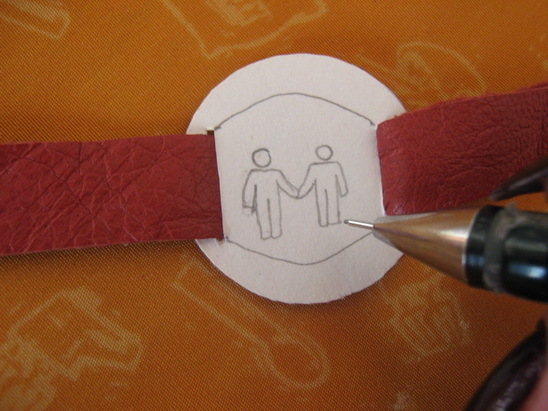 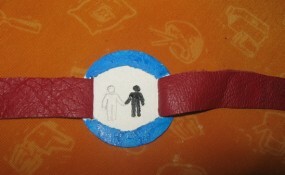 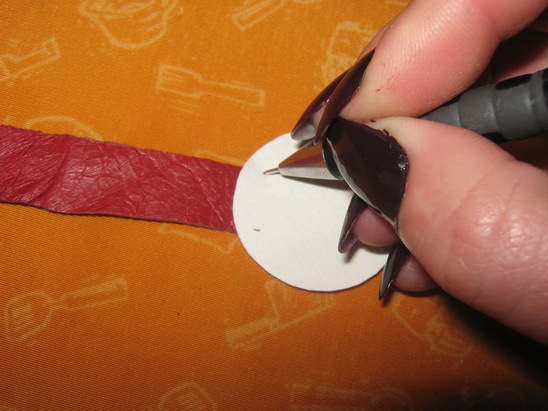 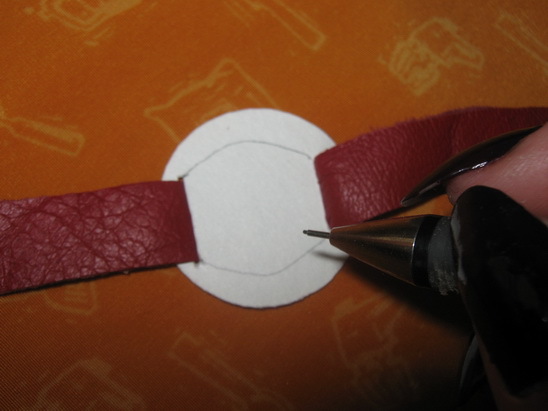 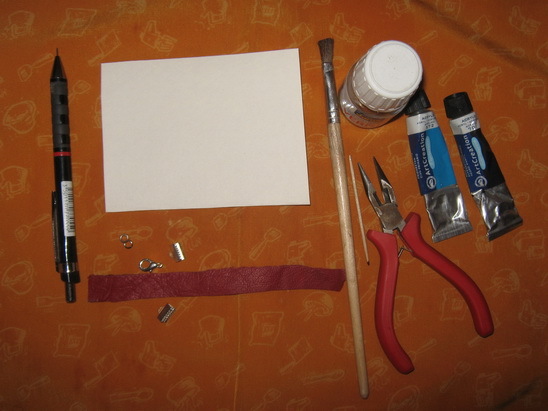 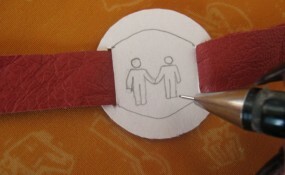 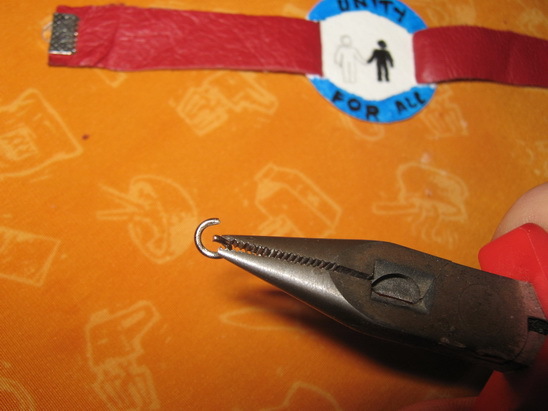 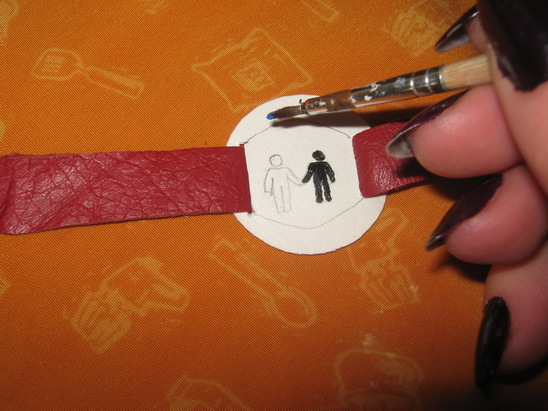 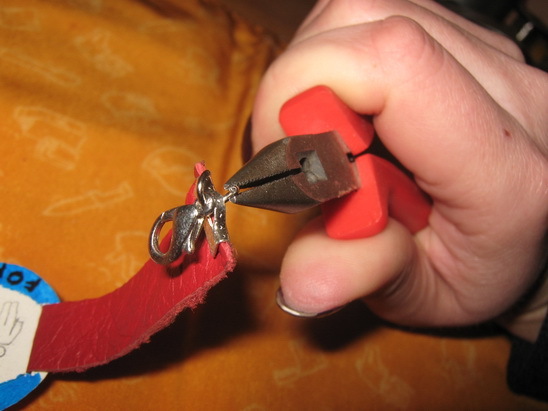 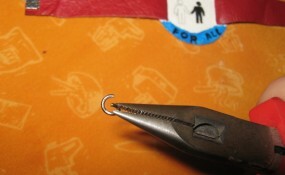 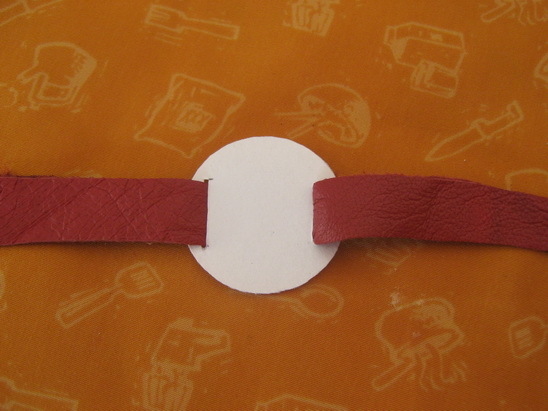 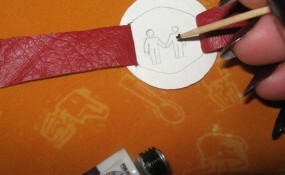 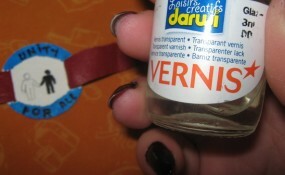 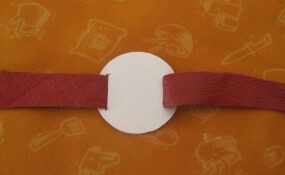 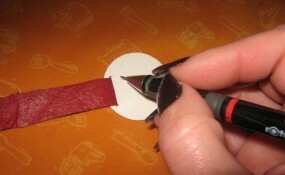 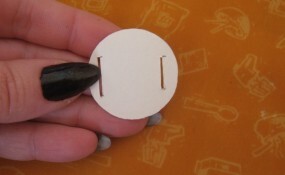 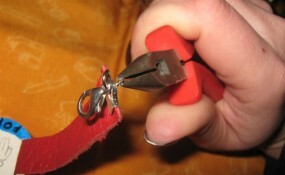 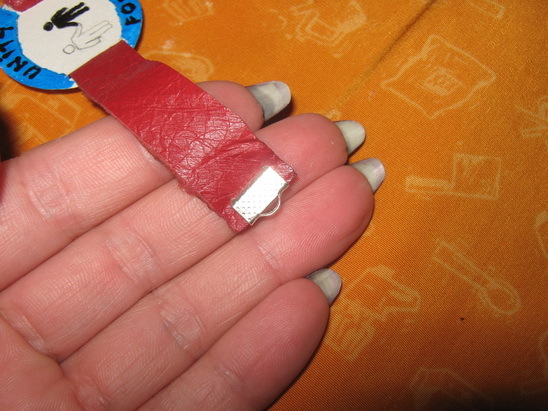 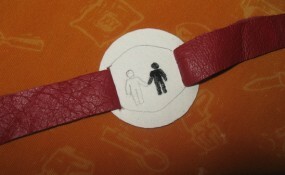 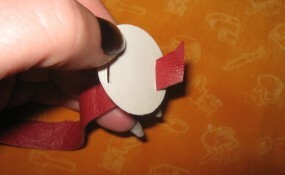 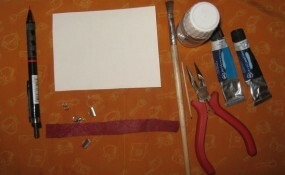 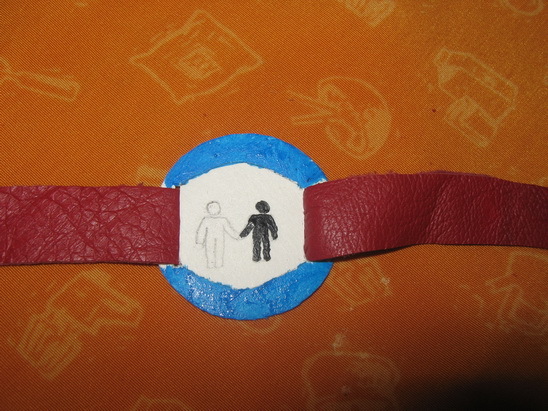 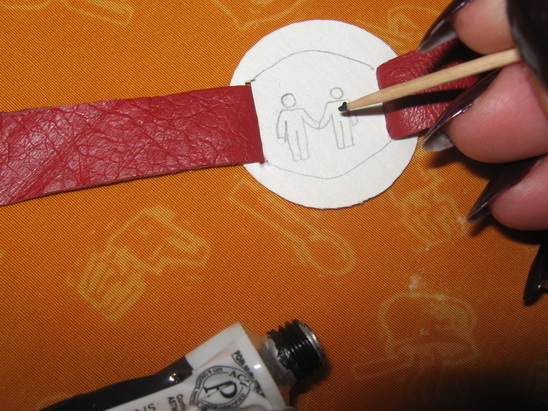 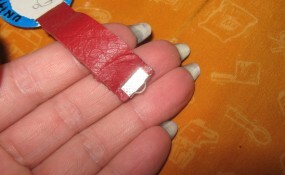 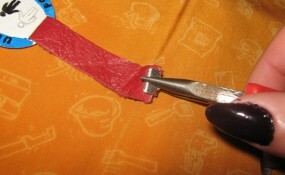 … and put it on one end of the leather band, using the round nose pliers. 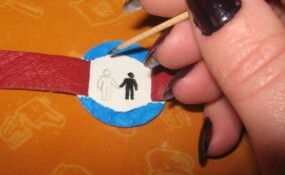 … and attach the lobster clasp of the cord end with it. 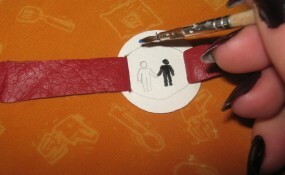 Do the same on the other side. 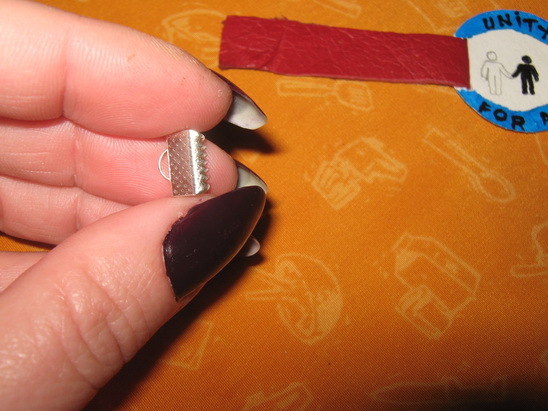 You can add here a piece of chain (or you can put only the jump ring). 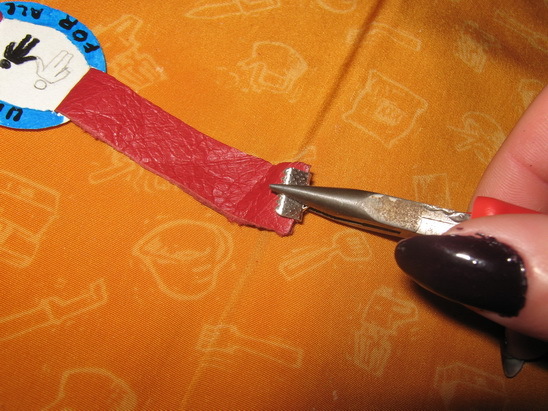 Now your bracelet is ready. 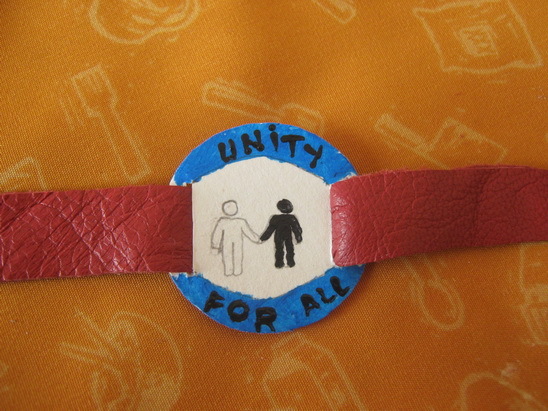 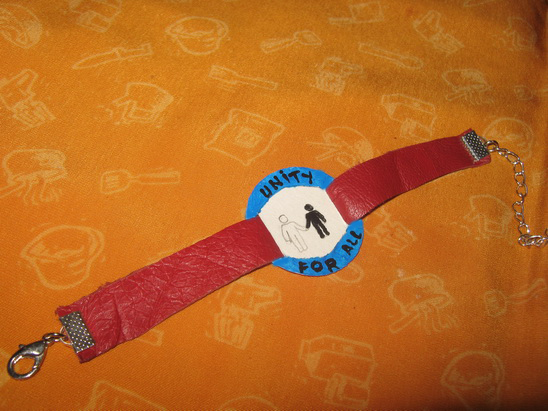 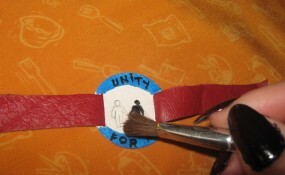 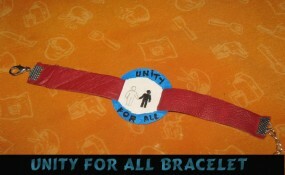 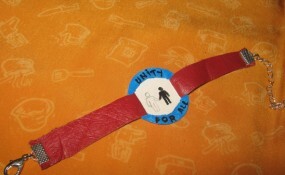 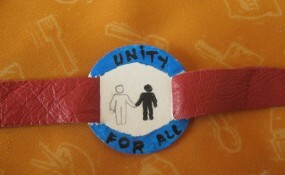 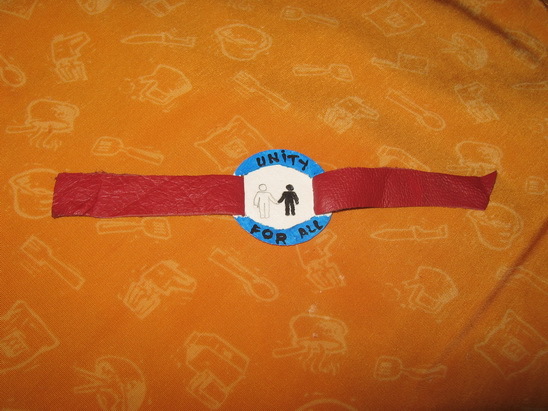 And, there you have it… you just finished your “Unity for All” Bracelet for Martin Luther King Day. 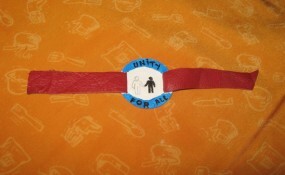 Wear it proudly….. after all Martin Luther King worked hard to make sure that everyone is created equal.